The Irish director's latest feature film will have its world premiere at the festival, where it has been selected for the narrative competition. 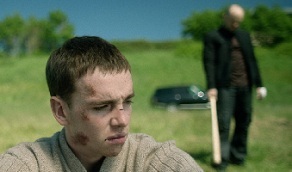 'Undercliffe' is Mulcahy's third feature film and tells the story of a young man waking up from a brutal beating remembering nothing, not even his name. In the journey to discover who he is, he becomes more and more ashamed of the man he has become and the dangerous world his past choices have lead him on. The film was written by Bruce McLeod, Produced by Emilie Jouffroy and Alexandra Breede and Exec produced by Dominic Dromgoole for Open Palm Films. The DoP was David Liddell, Sound was Corrado Riccomini, Production Designer was Hannah Purdy Foggin, Costume designer was Lance Milligen, Editor was Jonathan Lucas and the Composer was Terence Dunn. The cast includes Laurie Kynaston, Mark Addy, Stephanie Hyam, Esme Creed-Miles, Akbar Kurtha and Mariam Haque. I loved this script from the moment I read it and immediately wanted to seize the opportunity to realise the story in a way that allows the audience to ride alongside our young man on his journey of self-discovery whilst never knowing anything more than he does. In making this film, I wanted to allow the audience space to consider his actions, to make up their own minds about who he really is. Is he a good person? I am thrilled that Undercliffe is having It's world premier at Austin. This is a wonderful, vibrant festival that cherishes and promotes great story telling and we, as a team, feel privileged to be apart of it. Most recently, Mulcahy was the lead director on the new 6-part psychological thriller 'Blood', currently screening on Virgin Media One. Her previous work includes 'Holby City', 'The Moonstone' and 'The Legend of Longwood', a children's feature film that she co-wrote and directed, which went on to win the Celtic Media Award for Best Children's Programme. Mulcahy has also directed on the successful Irish soap 'Red Rock', for which she won an IFTA television award for Best Director in 2015 and a nomination for season two in 2016. 'Undercliffe' screens on both 26th and 29th October at the Austin Film Festival.